In other business, after months of discussions, Council chose Simmons Road as the site for the County’s planned animal shelter. After last month’s talks regarding the proposed project, County Administrator Lynn Strom researched issues regarding the two debated sites, Simmons Rd. and Weaver Rd., in order to offer more information at this month’s meeting to aid Council in their decision. One of the concerns she addressed had to do with the owner’s of the property at Simmons Rd., the Edgefield County Senior Citizens Center, and their request that the purchase amount for the property be allocated over several years. However, Strom advised Council that this was no longer an issue as the SCC had offered an alternative to this purchase. Further, Strom said the County’s insurance provider would not require the County to immediately tear down the existing structure on the property if the County did purchase it, but they did advised that the County post no trespassing signs. Additionally, the insurance provider had no qualms with County personnel being used to tear down the structure. However, issues were raised pertaining to the building’s demolition in regards to possible asbestos being in the structure. An early estimate for an asbestos survey was given as $2000, and Strom said that the SCC had agreed that if an Memorandum of Understanding (MOU) regarding the property was entered into with the County, an opt out clause in case of asbestos would be provided. The Senior Citizens Council had previously offered Council two options regarding the acquisition of this property, one of which was to sale, with stipulations, to the County its portion of property on Simmons Rd., that adjoins the 250 acres owned by the county. Councilwoman Betty Butler stated that while she thought the purchase of the property was a wise decision for the county, she was still not sold on it being the site of the animal shelter. Saying she felt the Simmons Rd. property still had too many contingencies, she favored the Weaver Rd. site. Mr. Dorn agreed, and the two voted against the measure that did ultimately pass in a 3-2 vote. In a related matter, Council voted unanimously to enter into an MOU with the Edgefield County Senior Citizens Center in which the SCC agrees to donate its property on Simmons Rd., on which the old Manor House is located, to the county. In return, the county agrees to increase its appropriation given to the SCC by $5,600 for the next 5 years. This MOU is contingent upon findings from an asbestos survey and an environmental study. Council was able to shorten their agenda at the start of their meeting when a request to removed two items on the agenda was approved. Councilman Norman Dorn had asked that the two items, a consideration for PARD fund allocations to the Macedonia and Colliers Community Centers as well as a consideration to approve funding these centers from the $1.2 million general obligation bond, be added to the agenda. However, Councilman Ashcraft motioned that the items be removed and this received majority support with Chairman Dean Campbell and Councilwoman Genia Blackwell voting in agreement. Councilwoman Butler voted against this move and Dorn abstained. Council was addressed during their first public speaking section by Mr. Richard Murphy regarding his part in a lease with the County for hanger space at the Trenton airport. This lease is due to expire in Feb. 2014, and Murphy asked Council to consider a line from the original lease agreement that he maintained was a provision to help determine any future lease agreements. This provision would tie any increase to the lease with the SC Consumer Price Index, which would amount to a 12% increase. In their later lengthy discussions regarding this lease agreement, Council was presented with a recommendation by Administrator Strom to increase the annual fee paid by the current tenants, 6J6 LLC, from $3,600 annually to $6,480 and extend the lease for another 5 years. However, the recommend increase was noted to be considerably more than the 12% the current leasers had envisioned. Strom said the recommended amount came after researching similar facilities throughout the state and the fees that they charged. Speaking in favor of the recommended increase, Councilman Ashcraft noted that the hangers in question are basically used as tax revenue and stated that based on square footage, the recommendation from Strom was fair. However, Ashcraft did offer a counter option to the measure; allow the lease to expire and then rent the three hangers in question individually for $180 a month. He stated the airport has been run with a deficit for 3 years and attributed that to lack of rent funds. While Council agreed that the original lease agreement did provide a stipulation tied to the CPI, it was noted that it also stated that both parties had to be in agreement as to the renewal of the lease. In the end, Council decided to take the presented information as such. If no further action is taken on this measure, the lease will be allowed to expire. Council unanimously voted to accept Kucera International’s bid for $25,000 to conduct the project of orthophoto imagery for the County. Administrator Strom informed Council that 50% of the cost for this project, which is a state requirement, will be covered by a grant and the remaining amount will be covered by funds left over from the previous imaging project. A public hearing was held to discuss the second reading of an ordinance to amend an agreement for development at the Joint County Industrial Park of Aiken and Edgefield Counties as well as for the second reading of an ordinance approving policies for a spay/neuter program for Edgefield County. There was no public comment on either of these matters, and both subsequently passed their second readings unanimously. In her closing report, Administrator Strom advised Council that the committee for the Capital Sales Tax Project held their first meeting and elected Thomas McCain as Chairman. She also conveyed that the committee would like to receive input from elected officials within the county at their next meeting, scheduled for Dec. 17, as to projects they would like to see considered. Following this meeting, Strom said the committee plans to hold public meetings in each district on different projects that might be considered for the capital sales tax project. 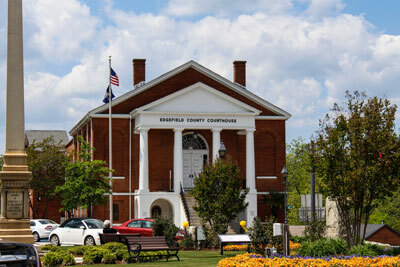 Strom also informed Council that the county received another grant from DHEC for use by the Edgefield County Sheriff’s Office and Emergency Management Services for health care preparedness. This brings the total in grant money received from DHEC for this purpose to $27,597. Before adjourning, Chairman Campbell thanked Council and County staff for their hard work over the year in moving the county to a better future.